Saving up for a down payment on a house is one of the most drawn out arduous journeys in a young adults life. It’s a road that seemingly has no end. After all, you’re at a stage in your life where money can be easily put to use elsewhere. When you’ve finally chipped away at it long enough and you have your down payment sitting in your savings account, the excitement is unfathomable. It’s not uncommon to hit up all the websites and immediately start shopping for your dream home. There’s a lot of stress linked to first-time homebuyers. One key component is that many were previously living with their parents and didn’t account for the stress linked with cooking, cleaning, landscaping and a host of other things we take for granted as children and young adults. These factors just scratch the surface of the issues associated with buying a home. 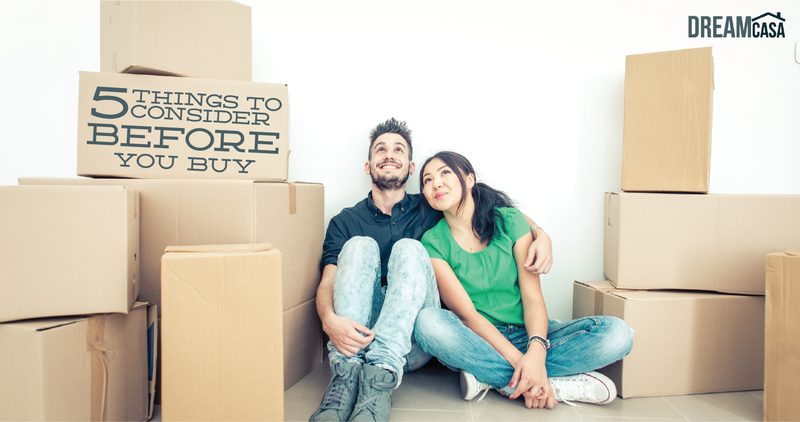 Here are some real factors to consider before pulling the trigger on your first home. The sheer excitement of purchasing a new home can cause you to stretch your budget and overlook certain expenses. When budgeting for your house, any real estate agent or lender will make it clear to include taxes, insurance, interest and of course the principal. However, it’s important you take all costs into account and make sure you don’t bite off more than you can chew; immense stress is not worth a bigger house. Take into account the utilities, renovations and maintenance costs. Even if your home is in tip-top shape, you will learn that things consistently break down and require maintenance. 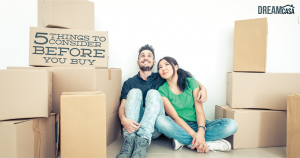 If you plan on moving around frequently, buying a home is not the best option. Although rent is viewed as flushing your money down the toilet, more money will go down that toilet if you constantly relocate. Every time you buy and sell there are an exorbitant amount of fees that need to be paid. These fees become less and less significant the longer you stay at a particular home. Although home inspections are not generally mandatory, it’s vital that you get one done. There are many hidden aspects of a home that can translate to expensive repairs with a potential to damage your budget forecast. It’s also advisable that you shadow the inspector. They will be able to inform you on nuances associated with the home that can turn out to be valuable information. If you’re not interested in this type of work, include landscapers as a fixed cost in your budget forecast. If not, be prepared to spend several of your precious weekend hours mowing lawns, pulling weeds and turning the soil. Many people enjoy working in their yard, but all will admit that it’s not easy work and the tools are costly. It’s not uncommon for people to hesitate before hiring a real estate agent, as 3% of the sale price is a steep price to pay. Don’t make this mistake; a real estate agent is experienced with the extremely complicated process of purchasing a home. They will be able to expedite the process and get you the best, realistic price. They save you money and a ton of heartache in the long run. For more helpful home buying tips, check out why researching the neighborhood matters.